You are here: Home / Prepping / Military Clothing: Overrated or Good Gear? Military Clothing: Overrated or Good Gear? Is Military Clothing as good as one thinks? The term military should be slapped onto almost anything, primarily clothing and people will be there lining up for buying it. This term makes individuals think of long-term use and rugged durability that can be great features to have in a disaster situation. Military specifications, however, can lead to screw-ups similar to like the civilian demand can as well as old issue made by lowest bidder could leave few long-term problems as well. 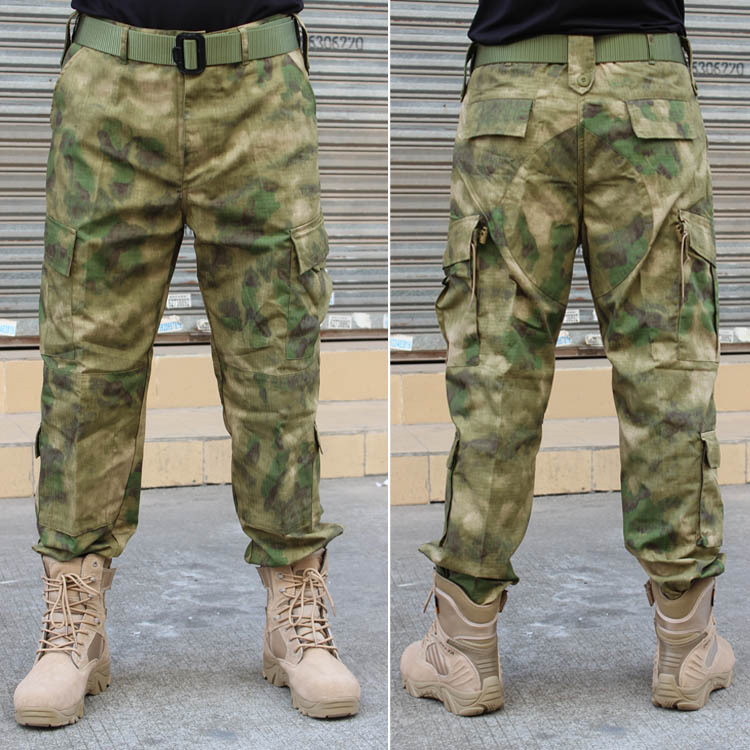 Clothing of civilian cannot be made to military standards but it is made to a practical standard that is demanded by hard-working civilian workers or contractors in tumble-and-rough fields such as lumberjacking that can fit better preppers needs. 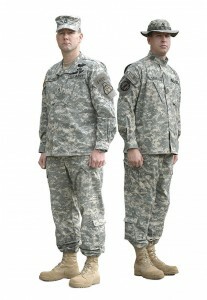 Unlike soldiers, whose uniform serves to help him acquire different rewards (from the symbolic ones, such as custom coins, all the way to those of outmost importance such as saving lives and the country they are defending) preppers find the purpose of a good uniform to be in sole case of ensuring the survival of themselves and their families, should a catastrophic event ensue. Both groups fight hard for what they believe in – but should they share the gear? Let us see which one is superior as well as deserves place when compared to rest of their supplies in their survival closet! ACUs and BDUs: Looking at Advantages and Disadvantages of Military Design. 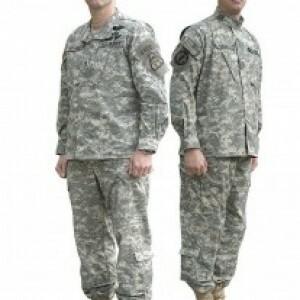 Battle Dress Uniforms (BDUs) (like these) are old-style military uniform which was previously used to the introduction of Army Combat Uniform (ACU) around 2005. Advantages of Military clothing- they can be cheap as well as comfortable but have few limitations with respect to durability. Usually cheap for what one gets. In particular, BDUs are in quantity for lesser than 25$ from surplus sites and stores based on demand at that time. For prepper on a budget, they can be much practical when it comes to purchasing them as opposed to an expensive pair of Dickies or Carhartts. They have decent fabric blends in comparison to various other brands. Speaking in general, unless one lives in warm, dry climate clothing that is high in cotton, it can prove deadly because cotton poorly fares when in extreme cold or wet conditions. 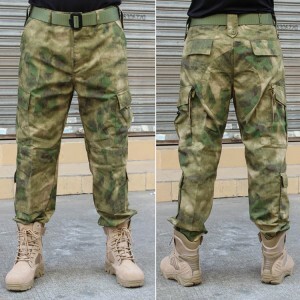 Though few jungle designs made use of high-cotton content previously, maximum military blends like few nylon and various other materials that assist minimize cotton effects. Such blends will also add some amount of durability as sweat will be wicked away rather than rotting or sitting out around armpits, groin, etc. For maximum, looser fit and offers increased comfort. The same point noticed again and again that both former military and civilians who make use of them that are both ACU and BDU are pretty comfortable as well as looser fitting when compared to same size military clothes. It is considered a major benefit for durability and comfort (reducing chafing/blisters), since armpit and pants areas will be less likely to get bound up as well as tear when one is bending or stretching. Camouflage designs for several environments. Casually speaking, ACU pattern is superior when compared to BDU one but both are pretty functional in offering camouflage in several different environments varying from urban to desert to forest. Those who require hiding while traveling or while on sentry duty, decent camo pattern in addition to other benefits of military uniform would be highly useful. Disadvantages- It is hardly durable even when in extreme situations and not much long-lived. In particular, ACUs (like these) lasted typically for less than one year of continuous hard usage and BDUs generally don’t exceed 2 years. Though it isn’t terrible (witness how long average pair of jeans of yours would last for composition!) it is outperformed by few durable civilian brands. By maker and years, quality varies without a simple way of telling the difference. for decent pairs of BDU or ADU. Newest isn’t the best always! One would not always want those camo designs. In some situations and for some places, Camouflage is perfect but in several cases (especially during emergencies) when individuals will be associated with camo with militia or military types may not be thought of well. Carhart’s pair is durable even without screaming paramilitary to each one you see. On some models, Velcro isn’t suitable for dirty environments. Few designs making use of buttons will work just fine with little dirt instead those having Velcro tend being iffy as soon as gunk enters into its material. So, is the Military-Style Clothing worse or better when compared to Civilian Stuff? As with several things, all this is based on needs but I would say overall that it is better in a sense that it is of reasonable quality even without being expensive excessively. For that same amount that one would be investing purchasing complete set of nice Dickies or Carharts, they can probably purchase several military stuff sets that will assist them in offsetting shorter span of life. In case you were asked to rely on only single set for extended time period though you’d be better off spending money for anything for higher quality, what the BDU or ACU will offer. In short, it is a good middle-of-the-road choice and much more useful in quantity than when used alone. I love your entire website. Please Subscribe my email address to any blogs or newsletters that you organization Sends out.